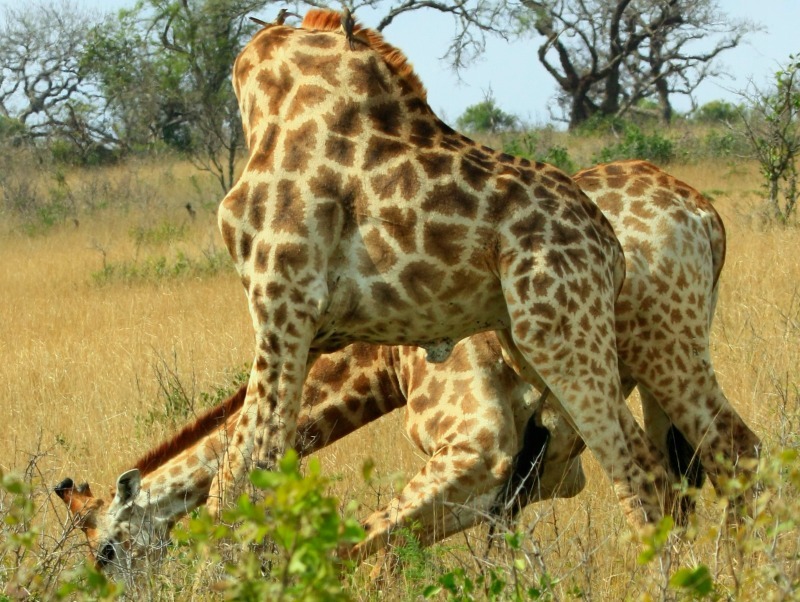 The unique biology of Giraffes provides them with some interesting challenges in the wild. The often display strange behavior that we will try to explain. Let's look at a few interesting facts about these elegant creatures. 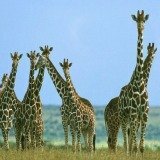 We bet you already knew that these African animals are the world's tallest mammals but maybe we can reveal a few facts you did not know in this article. 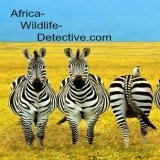 What is the natural habitat where you are most likely to see these wildlife animals in the Africa? In their natural habitat these African animals prefer woodlands areas. This is where they will find food trees for them to browse. They use grasslands only for traveling. If fresh green food is available they do not need water. If that is the case you are unlikely to see them at rivers and lakes. They usually feed and move around during the cooler parts of the day in the early morning and late afternoon. These African safari animals do sometimes feed at night if there is bright moonlight. You will see them resting in the midday heat, either standing up or lying down. Do they live in herds? Yes you will find them in rather loose, open herds with no specific leaders which will coordinate the herd movement. Mature bulls are very mobile and roam alone but will associate with a herd that has a female on heat in it. These animals are not territorial and float amongst groups without enduring relationships except for the bond between a mother and a calf. 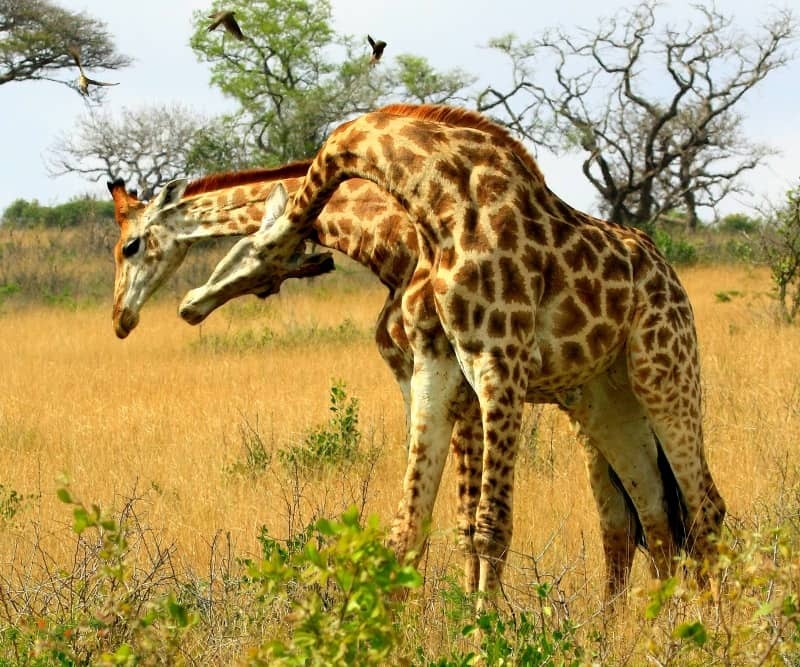 The social interaction, which you are most likely amongst these animals when on an African safari, is necking. This occurs during courtship, when it involves a gentle, stroking action. Young adult males spar by neck wrestling when it is a test of strength - each trying to wrestle the other slightly off balance. To understand dominance hierarchies amongst them look for the dominant animal, which will stand with its head held high. A submissive one holds its head low and at an angle to its neck and drops its ears. 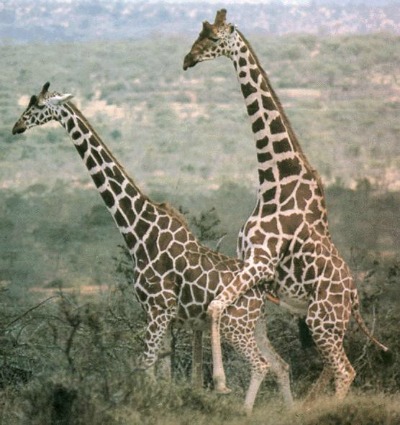 These long necked browsers are able to exploit a feeding niche in their habitats that is only shared by elephants. Their height enables them to reach food, which no antelope can get at. They feed mainly on the Acacia trees. Giraffes are very selective feeders and only chooses the most nutritious leaves. They do this by pulling leaves and small twigs into its mouth with its lips and tongue. They sometimes spit out thorns and tough twigs. These African animals have a very efficient digestive system. This means that they can survive on less than half the browse you would expect of an animal of this size. The presence of thorns on acacia trees slows down this process, which means they have to spend at least 11, and up to 20, hours a day feeding. In habitat areas where the soil is poor in calcium they obtain these minerals by chewing bones. 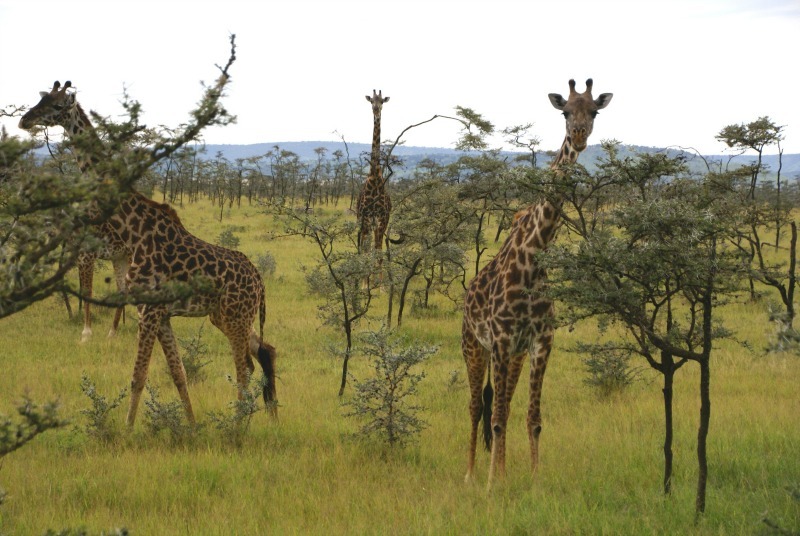 Do you know how to see the difference between a male and female giraffe from a distance? You can differentiate between the sexes because of their different feeding styles. Males tend to feed at full stretch, reaching up to 5, 8 m from the ground. Females feed lower with their heads tipped downwards and their necks angled forward to reach the tops of low bushes. This means that bulls and cows do not have to compete for food. The maximum head height of males are 5,5 meters and 4,5 meters for females. The shoulder height of males are 3,3 meters and it is 2,8 meters for females. 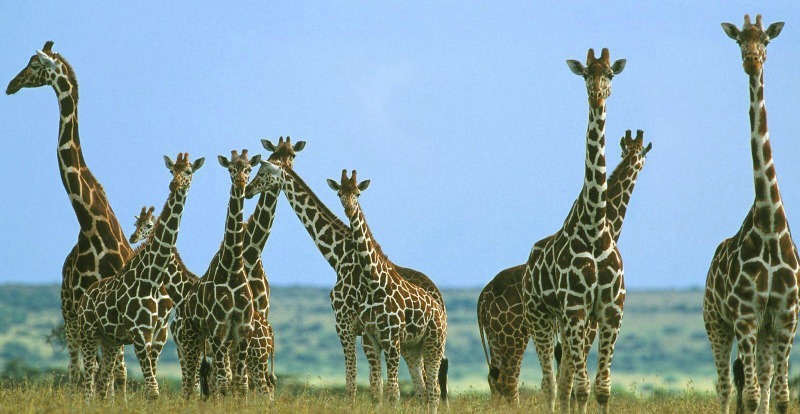 A group of giraffes is called a tower of giraffes. High-ranking bulls intimidate subordinates by standing with their necks vertical in order to exaggerate their height and bulk. They can gallop at up to 34 miles per hour (56 km/h). When you are on African safari look out for the very distinctive walking gait of this African animal. Because its legs are so long a walking they move both right legs forward and then both the left legs. When they gallop, this changes and they simultaneously swing the hind legs ahead of and outside the front legs. How do they groom themselves? Something you will probably notice when in the bush is that the build of this animal makes it difficult for it to groom itself. That is the reason they are usually peppered with ticks. When you see them scratching against trees it is because they are trying to rid itself of these parasites. When giraffes fights the bulls swing their heads like medieval maces. Notice in the giraffes fighting below how the one animal lands a thundering blow on the body of the opponent with its head. The neck is so long that the swing looks slower than it is and the blows less hard but the sounds of their impacts can be heard from 100 meters away. Broken jaws and necks and combatants being knocked unconscious have been recorded. A bull rides the blows of the opponent by jumping slightly at the moment of impact. They cannot jump and swing at the same time so the two opponents give the impression that they are taking turns to give and receive blows. Fights like this can go on for more than half an hour. After the fight - the winner will emphasize his dominance by briefly mounting the loser. 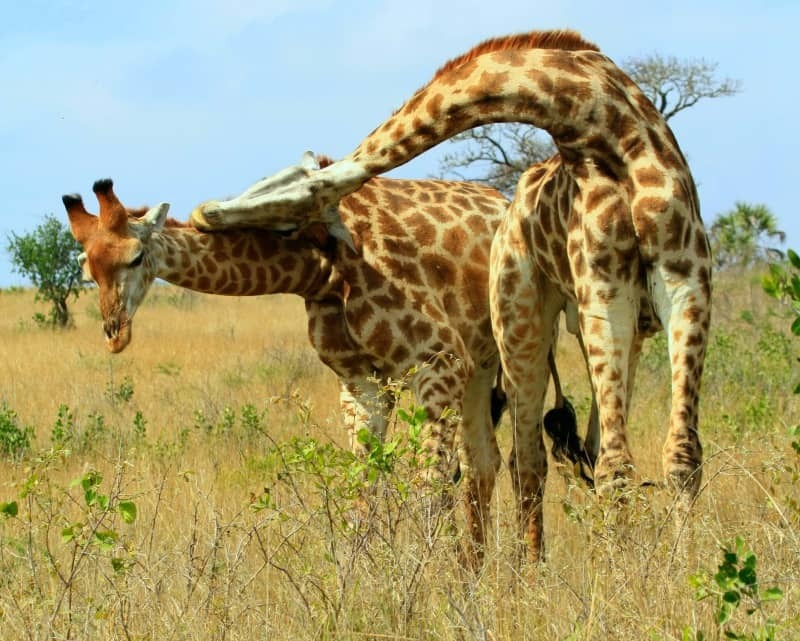 How do giraffes defend themselves against predators? Giraffes defend themselves against predators by kicking with either the fore or hind feet. Their large and heavy hooves can break the back of a lion. Something interesting information about their vulnerability to predators relates to their feeding habits. Bulls tend to feed at full stretch with their heads tipped upwards. This makes them less able to keep watch for predators while feeding. 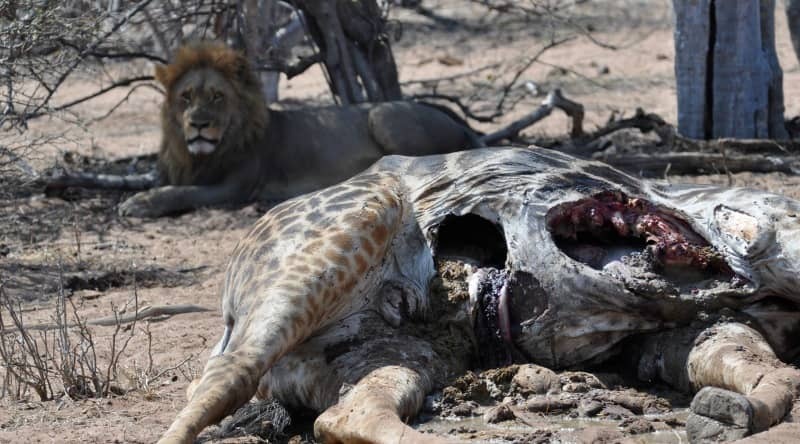 An interesting giraffe fact shows that in the Kruger National Park lions kill 1,8 times as many bulls as cows. 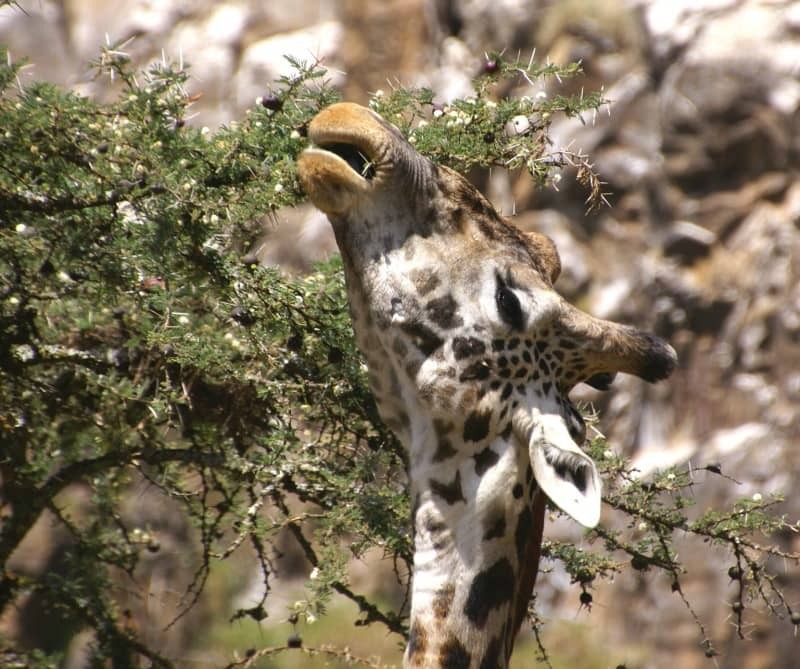 Why are giraffes vulnerable when they are drinking water? They don’t need to drink a lot of water, beacuse they get most of their water from the plants they eat. In order to reach water it has to splay its front legs and bend its knees before bending its neck to get its head down to ground level. Any wildlife animal in this position is very vulnerable. It will always look around carefully and make sure it has a firm footing before bending. When they raise and lower their heads its brain is protected by a special system of elastic blood vessels in the neck. This system is effective in getting blood and oxygen to their heads, as well as to prevent blackouts when they lower their heads. They have enormous hearts, which weigh close to 25 pounds and large lungs to effectively circulate air through the 6 to 8 feet long windpipe. Interestingly they can hardly jump at all. The highest fence a giraffe has been recorded clearing was only 1 meter high. How do these tall animals mate? A wandering bull tests the reproductive condition of females he encounters by sniffing her urine. A female that becomes receptive for mating will be approached by a series of increasingly high ranking bulls. A higher-ranking challenger displaces each suitor. By the time the female is receptive the top bull will be courting the female. Cows leave the herd to give birth in cover. In the Serengeti nearly all the calves are born in traditional calving grounds to which a female will return. A female gives birth standing up, or even while walking. 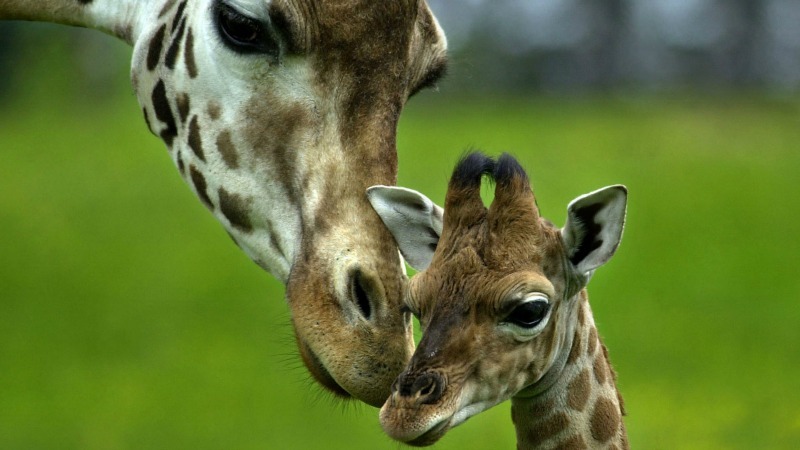 At first the mother chases other giraffes away so that her calf bonds only to her. The calf can stand within an hour and lie hidden for 1-3 weeks. While it is still wobbly on its legs its mother guides it with nudges of her head and forelegs. Calves in the same herd establish social bonds by playing with each other. The calves first eat solid food at two weeks. They are weaned between 12 and 14 months and leave the mother at 15 to 17 months. 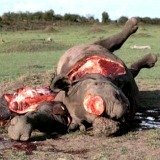 Calves suffer heavy predation and the first year mortality is 48% in the South African lowveld. 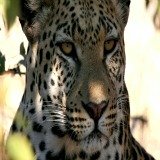 Did you know that these graceful African animals are already extinct in seven African countries? Please create awareness of these facts by sharing this page with your social media friends.